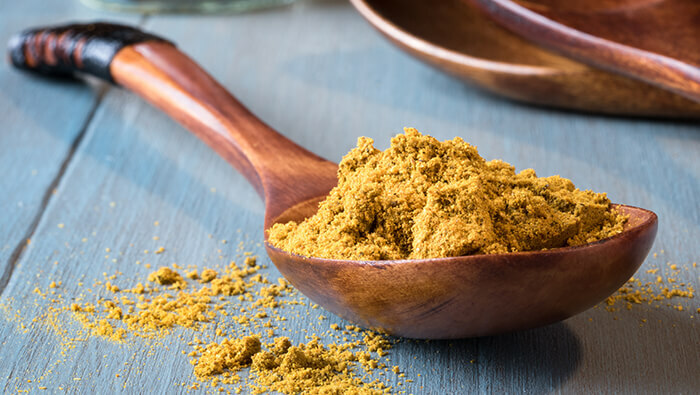 Curry powder is a popular spice mix that has a number of valuable health benefits. It’s easy to take this spice for granted even though it’s a simple way of adding depth and warmth to liven up a stir fry or adding a pinch or two in a soup. The most common and beneficial ingredients of curry powder are turmeric, coriander, cardamom, cumin, sweet basil and red pepper. The key ingredient is Turmeric. Studies have shown that turmeric, and its main active component curcumin, can help prevent everything from Alzheimer’s disease to cancer. Give this delicious veggie curry recipe a try – perfect on a cold winter day! Looking for more healthy advice and recipes? Click here for a free 15-minute nutrition consultation with one of our Nutritionists.